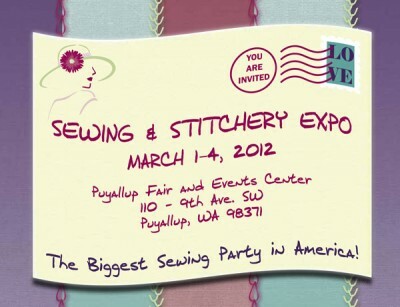 On Thursday, March 1, I’ll be in Puyallup, Washington, for Sewing and Stitching Expo. Simplicity has declared the day “Lisette Day,” and I’ll be at the Simplicity booth greeting visitors and showing off the new spring Lisette patterns. For show details and tickets, visit the Sewing and Stitchery Expo website. Hi Liesl! I was fortunate enough to spend time with you at the Palm Springs workshop this year….. The windy one!!! I look forward to seeing you there and you deserve a day!!! You earned it!